A small chest of drawers. See Father Noel for details. 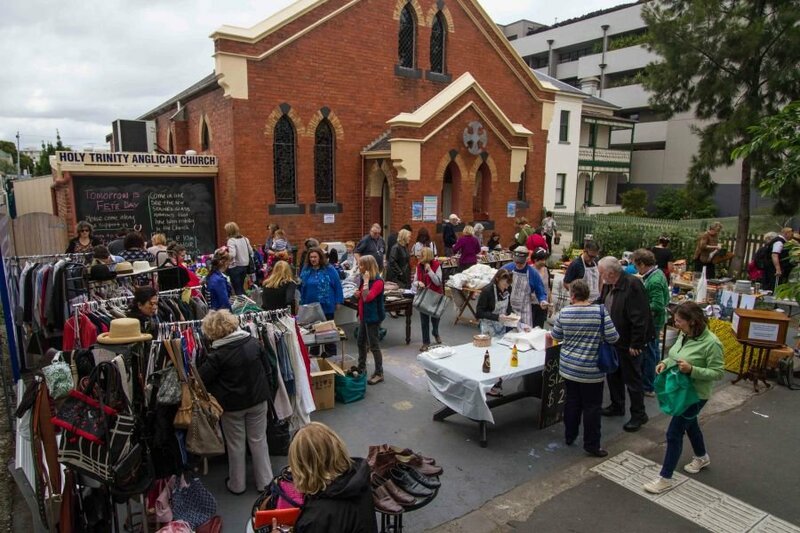 As many of you know, Helen B. does an AMAZING job organising the Holy Trinity plant stall for our mini-market days and fete. However she is running a bit low on plants. To help with future mini-market days and also October’s Fete, she will need more avenues to source plants/succulents – and she does need time to repot/grow them to be big enough for sale. 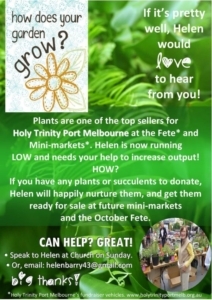 If you don’t have green thumbs but could contribute something in the plant line (Bunnings also have a great range of seedlings/plants etc) that Helen could take home, repot and nurture so that they look healthy and attractive for sale, please look at the contact details below. The sooner she is able to obtain any donations, the better! Your weekly giving to the parish can be made easy and simpler by using the ADF Parish Giving Scheme, direct debit from any account to the Church account with NO CHARGES. Forms are available from the front table in the Church, by download, or see Noel for more details. Your giving is sessential for our future. We have developed a plan for the Refurbishment, Renovation and Improvements to the Church Fabric. Of the original 30, 1 is remaining – we are pleased with the progress! CHURCH ROOF: This has been repaired with all slate tiles now replaced (2017). Our big need now is to raise funds to pay for it. Details are HERE. If you feel able to assist, please contact Noel Whale Mobile: 0412 196 127 (Preferred Means of Contact).